Does it fit with current product lines? For instance, if you have been raising cattle and decide to start selling apples, you would have to create a new supply chain to accommodate the move to fruits and vegetables. On the other hand, if you expand into raising lamb, they can be sold and shipped along the same supply chain, and may even be good additions to the farm for some agricultural methods such as pasture-raised livestock. Does it require new marketing approaches? As in the example above, the addition of apples would require a new approach to marketing as well as new buyers in the fruit category. The addition of lamb might fit into existing marketing focused on locally raised meat. Do we know if there is demand? This section addresses market research, essential before proceeding with new initiatives. AMI offers an excellent platform for exploring new crops. Market research can be done on a large scale over a long period of time with paid consultants, or it can be a simple process of reviewing prices, competition and opportunities in your area. Similar businesses show the results of their market research and strategies, so it is good to review your regional market trends and competitors as well as consulting secondary research for larger trends. Target Market Worksheet. Click to view PDF. Now that you have reviewed some of the options, go to this worksheet to assess the possibilities, opportunities and barriers for the markets in your area. Which of these is most likely to achieve your top goals? Which will challenge the achievement of these goals? How do you know if a new marketing channel will be profitable? The subsequent modules have more on calculating costs (Module 2), and planning for new business (Module 3). Market research provides some of the key data to develop a fully informed business plan for a new product. These links provide some information to help you evaluate and compare marketing channels. 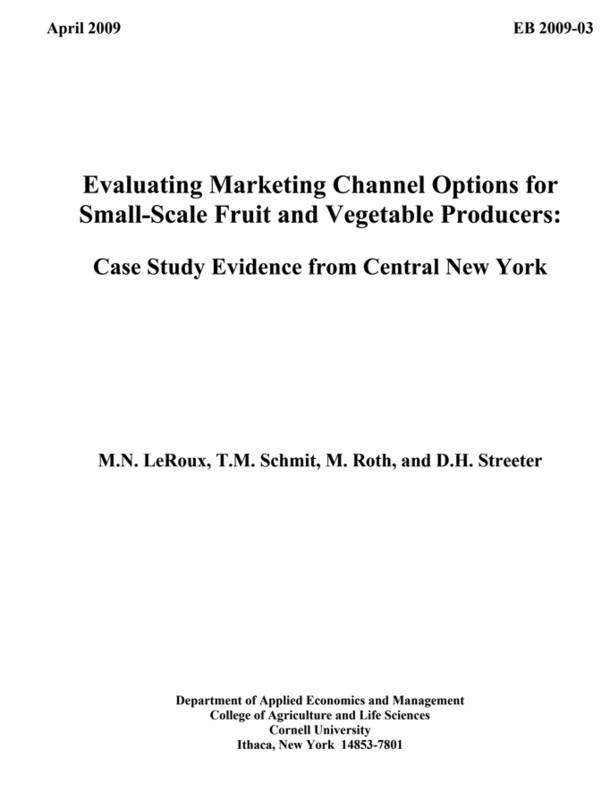 Evaluating Marketing Channel Options for Small-Scale Fruit and Vegetable Producers: Case Study Evidence from Central New York. Click to view PDF. Marketing Channel Assessment Tool (MCAT) Benchmark Performance Metrics. Click to view PDF. OMAFRA offers this excellent course on developing value-added products and markets. Contact them to get a copy of this course. To assess possible retail locations for your own store, use this tool for a quick assessment. Click to view PDF. To Market, To Market: A Workbook for Selecting Market Option and Strategies for Agricultural Products. Click to view PDF. Baskets to Pallets Teaching Manual. Click to view PDF. All in One. Click to view PDF. 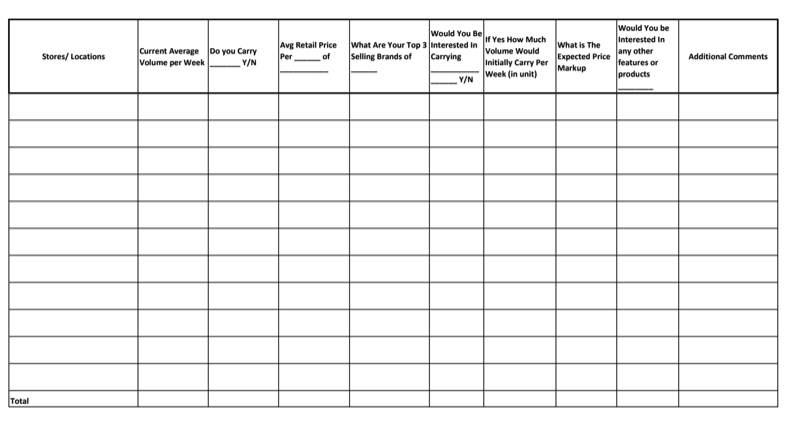 Bringing it all together: This worksheet provides a record of the decisions you have made so far, and sets the stage for the next module when you can work on costing your production and setting prices for your product.